George Devers has over 25 years of executive management experience. He has a diverse background in Security and Law Enforcement. Mr. Devers has management-level experience in costing, estimating, planning, marketing, and construction management. He has a broad knowledge in developing and maintaining budgets for organizations to include aspects of business development, guidance and oversight of Program Managers/Contract Managers/Administrators, labor relations and EEOC/DOL responses, grievances, mediation, and arbitrations. Mr. Devers is currently responsible for oversight/management of government contracts with approximately 700+ employees on 23 government contracts at approximately 95 locations across the United States. His responsibilities include the assessment of costing, writing, staffing, and management oversight. Mr. Devers works closely with the Director of Operations in the submission of proposals to government agencies /commercial agencies and the development and delivery of corporate presentations for the company’s clients including the United States Government. Mr. Devers holds a Bachelors of Administration from Belford University. 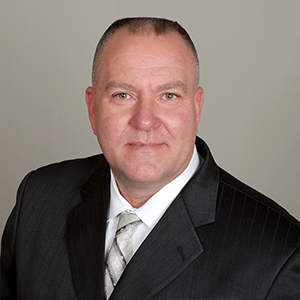 Mr. Devers is a graduate of the National Criminal Justice Command College (FBI National Academy) and holds a graduate certificate from Darden Business School at the University of Virginia (UVA).